DD-1 H-80596 was basically complete except for the top and bottom covers for the Power Supply and missing interconnect cables. Minor condition problems were present, mostly in the form of surface rust. The most significant rust damage had occurred on the back of the power supply case and the front of the power amplifier case. As for the receiver, some minor rust was present on the case mounting lips but the most serious rust was located in the RF coil section of the chassis. Most of the electrolytics had been replaced over the years, a coaxial cable was installed to replace a shielded cable in Receiver B, the Master RF Gain and Audio Gain controls had been replaced along with a handful of other resistors and capacitors but the essentially the receiver was complete and no modifications had be installed - just repairs. The plastic dial scales were yellowed and warped - typical of certain plastics at that time. 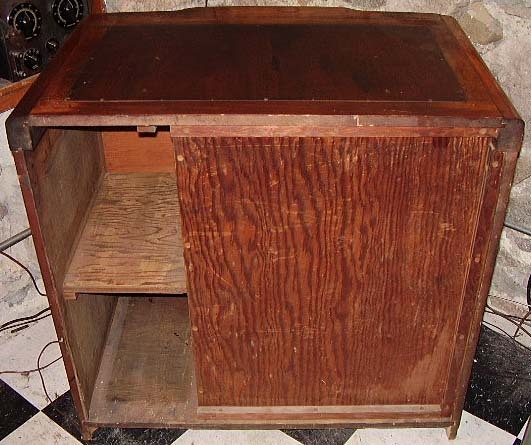 The finish on the wooden top and on the speaker console was original. There were some small veneer chips at the bottom of the console. The grille cloth was original. 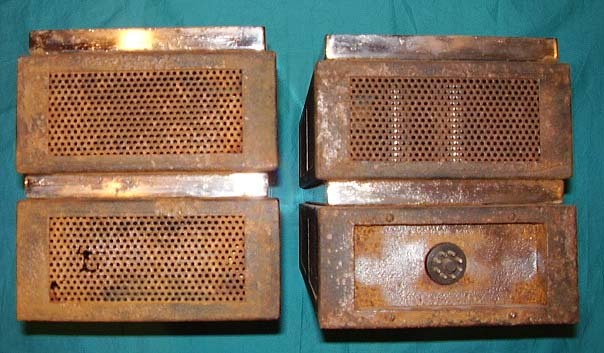 The 15" Jensen speaker was original. There was obvious wear to the finish on each side of the speaker console just below each of the control panel knobs showing that the DD-1 was used extensively at one time. All wooden parts to the cabinet were present including the rear cover. The chassis photo was taken before restoration. The box-type shield cover has been removed to show the Mallory-Yaxley Push-Button Band Switch assembly and the associated coils. Note the brass threaded rod and nuts that runs through all of the coil dividers. This, along with the shields, help support the push button switch assembly. The round cans on each of the outer chassis are the Infinite-Rejection tuning condensers while the rectangular cans are the IF transformers. The large transformer on the center chassis in front is for the tube heaters. One can see the three chassis that make up the construction of the DD-1. Also, obvious are the spots of surface corrosion on the chassis and some components. This is fairly typical of the cad-plated chassis of that time period. The most serious rust was encountered at the rear-left of the RF shield box area. Not only was the chassis involved but the shield also had a rust problem. Photo left: A seldom seen sight,...two DD-1s on one workbench. In front is H-80596. To the rear is a second receiver with many missing parts including the bandswitch shield cover that had the SN tag attached to it. Initial Thoughts on the Restoration - Before starting the restoration, I had to decide what kind of job this was going to be. Of course, the end result was going to be a fully functional DD-1, but was the DD-1 just going to be rebuilt with no regard for originality? Or, was I going to attempt a restoration that resulted in the receiver looking as if no parts had ever been changed and that it was in a "well preserved" original condition that reflected its age. I opted for the latter with some exceptions. First, since there was some significant rust damage on the power supply and amplifier cases, they would have to be cleaned and repainted. Also, since the top and bottom covers were missing from the power supply, new reproductions would have to be fabricated using the covers from the amplifier as models. All other cosmetic problems could be addressed by "touch-up." I prefer my restorations to appear as if nothing has occurred. 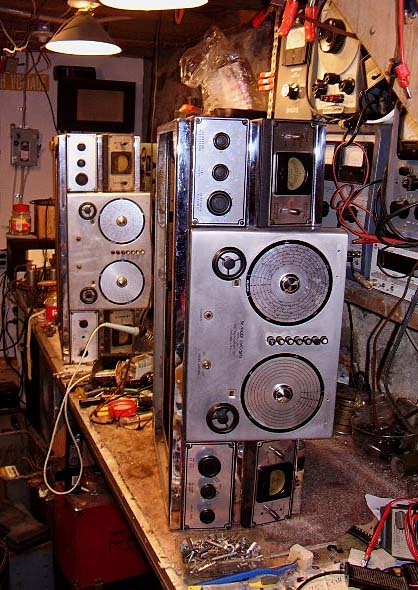 The finished receiver looks its "age" but as if it was well taken care of and any rework that would have happened would have been done professionally using original parts or parts contemporary to the receiver's age. This requires that all paper-wax capacitors be re-stuffed along with re-stuffing the electrolytic capacitors. This is a time consuming process but it results in the under chassis appearing totally original. With common receivers that were produced in fairly large quantities, preserving original capacitor shells is not really worth the effort since there are still many original examples existing. However, the DD-1 is another case, since very few were built and fewer are still in existence, preserving the originality was important. Touch-up Painting - The inside of the cabinet is matte black finish and was touched up using artist's acrylic Mars Black mixed with a little water. I first cleaned any rusty areas with a wire brush and wiped the area with a cleaner - I used Glass Plus (no ammonia.) When the area was dry I brush painted the black acrylic. The acrylic paint matches the matte finish very closely. Artist's acrylic can also be used for small areas in the wrinkle finish that are missing, such as scratches or scrapes. I don't thin the acrylic when touching up wrinkle since the paint has some body and can be textured a little with brush strokes. For areas where about .5" to 2" were missing the wrinkle finish I used Krylon Wrinkle Finish Black. I spray a small amount into a small cup and then paint that on with a brush. Make sure the area to be touched up is clean and has been wiped down with lacquer thinner. Paint a "heavy coat" on with a brush and when finished apply heat using a 100W reflector lamp placed close to the surface (about six inches away is good.) For trouble spots that are slow to wrinkle (more than 10 minutes) I use a heat gun on low temperature to get the paint hot enough to start wrinkling and then stop. Too much heat will cause the paint to "gloss" more than normal and not match the rest of the original paint. Krylon's wrinkle finish paint is a pretty good match for the color and texture - but nothing is perfect since the original paint was a two part process requiring a nitrocellulose lacquer base with a catalyst applied after the base was dry. The two part wrinkle then had to be baked to activate the process. There were several different formulae that resulted in the slightly different wrinkle patterns that we encounter today. The chassis rust spots were wire brushed and then a brush-on silver paint applied. This can be dulled to match the chassis with an acid brush or similar mild abrasive. The transformer covers were touched up using this same technique. Certainly the rust damage on the power supply and power amplifier looks pretty bad. However, careful cleaning and rust removal followed by a new wrinkle finish paint job and the two units looked great. I did have to remove the damaged perf metal on the power amp and replace it. When painted the new piece was undetectable from the original. All capacitors were re-stuffed in these units. Luckily, all of the transformers in both units were original and in good operable condition. In addition to the rebuild of these units, two interconnect cables had to be made. I had some old battery set, cloth covered cable that looked very close to the original brown cables used by Hallicrafters. The AC connection is also via an interconnect cable plugged into the rear of the receiver. This was a rubber cable about 8 feet long. I installed a dual fused plug since the DD-1 originally has no fuses on the AC line. Hallicrafters assigned the amplifiers a four digit serial number that is on a paper label on the bottom of the unit. The missing top and bottom covers for the power supply had to be replicated at a local sheet metal shop. 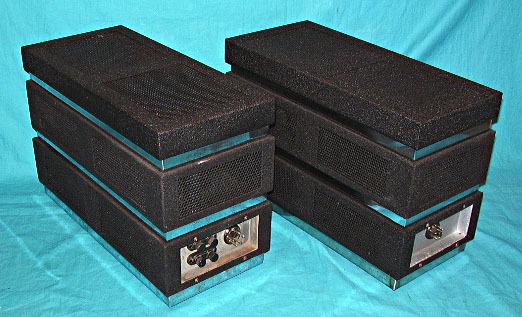 The shop used the original top and bottom covers from the power amplifier as models since the covers are identical for both units. It was a long wait for the completed parts as most shops consider this type of work just for "fill in" unless you want to pay "full rate." I got both covers made for $60 each. The top cover is an exact replica except the perf metal holes are slightly smaller in diameter. The bottom cover is also an exact replica except that it is made out of stainless steel so it wouldn't have to be chromed. When the top covers were painted wrinkle finish black, it was difficult to tell which cover was the reproduction. The same for the bottom cover when installed - only the original has a few rust pits that show. The square rubber feet install on the two welded pieces that span across the front and back corners. Shown on the left are the finished Power Supply and Power Amplifier. 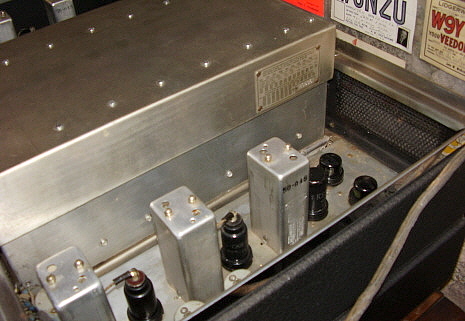 The Amp has its original top and bottom covers while the Power Supply (on the right) has the reproduction top and bottom covers installed. Although they can't be seen at this angle, the square rubber feet are installed on both units. While the Power Supply and Power Amplifier normally can't be seen with the DD-1 Console model, since they stow on shelves located in the rear part of the DD-1 Speaker Console, it is nice to finally have them both units complete and looking correct. The first part of this project was to clean up all of the rust problems. Most serious was an area in the 1st RF amp coil bay. This was accessed by removal of all of the coil shielding. Naval Jelly and wire brushing removed the rust and then the area was painted with a silver paint. When the paint was dry it was dulled down to match the chassis color with an acid brush. The same treatment was required on the tube shield section in addition to installing two new mounting studs to replace rust damaged ones. Once everything was clean and cosmetically restored the electronic part of the project was started. >>> >>> When working closely in the chassis many discrepancies were noticed. These were checked either against the schematic or against the second DD-1 chassis to help with the decision as to what was correct. Also, as I proceeded through the circuit, I checked the resistors for any out-of-tolerance conditions. I will usually allow about 30% variation in the resistor values depending on their function. Since nearly all of the 49 paper-wax capacitors in my DD-1 were the original Aerovox caps, re-stuffing the old paper shells with new capacitors was a practical idea that would result in an original under chassis appearance. One potential problem with any serious rework of the DD-1 is the polystyrene tube sockets. These sockets will not tolerate any over heating and therefore desoldering should be avoided. It is possible to use "hook" splices for joints and if carefully done and kept very short they will not be apparent. This avoids overheating damage to the plastic sockets and to other components. Since I was re-stuffing original shells I had to use "yellow-jacket" type, film capacitors. To re-stuff a paper-wax capacitor I use a heat gun to melt the old end seals on the original capacitor. Some caps will almost fall out of the shell when hot but not Aerovox caps. I had to use two needle-nose pliers on each wire lead end and pull the cap apart to remove it from the paper shell. While the shell is still hot from the heat gun I wipe the shell off with a paper towel to clean it up. The new cap is then inserted inside the old shell. I orient the new caps all the same way - it doesn't really matter with film type caps but it is just habit to do so. The new cap is held in place with hot-melt glue. When the glue has set-up, I fill the ends with brown sealing wax. The resulting capacitor is new inside and appears to be the original since we are using the old paper shell. It takes about 10 minutes to re-stuff each capacitor. Be sure to install the re-stuffed cap in the correct orientation - this is for appearance only. Also, there was a .01uf capacitor inside the BFO can that needed to be re-stuffed. Photo: The completed under chassis restoration showing the re-stuffed paper-wax capacitors and re-stuffed electrolytic capacitors. The orange electrolytics are Beaver brand and are original shells. These caps were engineering upgrades in production that are not shown on the schematic. 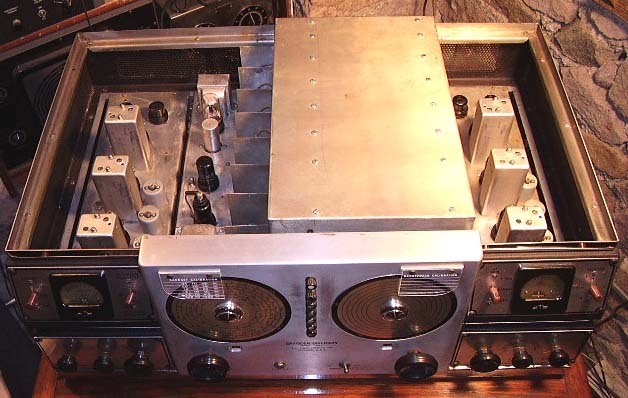 The end result of this restoration method is a fully functional DD-1 - plus, a reference that shows how the DD-1 looked as it came from the factory. When the tedious part of the restoration was completed I then needed to install a complete set of tested tubes. Each tube socket is cleaned and when the tube is installed a small quantity of De-Oxit is sprayed on the tube pins and the tube is plugged in and out of the socket a few times before final installation. Usually during the rebuild process the pots and switches are cleaned with De-Oxit. After this process, the DD-1 was ready for power-up. There are always going to be a few minor troubleshooting problems after initial power-up and the DD-1 was no exception. Fortunately, the DD-1 did basically function and only had some minor problems that needed to be sorted out before it could be aligned. >>> >>> Having another DD-1 chassis to look at for reference was a tremendous help. Not only could suspicious parts be checked for originality but missing parts could be referenced along with wiring and component placement checked. It took about one week to complete the paper-wax capacitor re-stuffing part of the job. Though tedious, I think the underside of the chassis looks great now and it is almost impossible to tell that any capacitor has been replaced. A few resistors were out of spec or were old repairs where wrong values were installed or repairs where an incorrect style (like JAN type) was installed. These were all replaced with correct values and correct styles, again to preserve as much original appearance as possible. Below are all of the major problems encountered. Metal can electrolytic capacitors installed for 8 mfd screen filter caps. These had mounting clips that were soldered to the chassis. The clips were removed as was the solder residue and the correct value, style and brand (Beaver) rebuilt electrolytics were installed. Coax cable connecting Receiver B Mixer to Receiver B IF amp. I installed new coax with tinned copper shield and removed the outer jacket so that the appearance was the same as original. Master RF Gain control was defective and non-original. Replaced with correct style and value part. Audio Gain control replacement part that was wrong value and style. Installed correct style and value part. R20 wrong value - 1K installed should be 4K. Installed correct value and style part. R2 wrong value - 10K parallel with 5K(measues 6K - 10K was out of spec) - should be 10K. Installed correct value and style part. R26 Rcvr B JAN type 1K installed. Installed correct style and value part. R27 Rcvr A JAN 100K installed. Installed correct style and value part. C100 BCB Oscillator shunt is two series caps, should be single 6pf NPO style cap. Installed correct style and value part. Several braided jumpers on the bandswitch assembly torn off. Replaced using pieces of "Solder Wick" as it was about the correct size and appearance. ON/OFF switch cables insulation missing. Replaced cloth insulation. C109 missing (AVC delay.) Installed correct style rebuilt capacitor. C46 RCVR B missing (IF cathode bypass.) Installed correct style rebuilt capacitor. C48 one end disconnected - RCVR B Diversity Meter Amp Grid coupling cap, 100pf. Reconnected. C34 RCVR A missing (IF xmfr B+ bypass.) Installed correct style rebuilt capacitor. After about 10 hours of operation R76, the 750 ohm 10W WW cathode resistor for the 2A3s opened. Replaced with 20W 750 ohm WW. The DD-1 schematic and parts list contain several errors. This was probably due to the receiver's short production life. Hallicrafters would normally correct the documentation with the second issue of the manual or perhaps with an errata sheet. Since the DD-1 was only in production for a few months and only a hundred or so were built, when production halted, apparently everything else involved with the receiver also stopped. This included all updates to the flawed schematic and documentation of any engineering upgrades that were incorporated into the production units. Fortunately, most of the errors are not critical to repairing or restoring the DD-1 receivers. Some of the conflicts are actually engineering improvements and these should be left installed. Since I had two DD-1 receivers at the same time, I was able to compare the schematic to production conflicts and resolve what was correct for the receiver. Additionally, I had two other resources in fellow DD-1 restorers who were able to confirm that their receivers also had similar production upgrades. The following is a list of schematic errors and non-documented engineering upgrades to the DD-1 receiver. Two 8 mfd electrolytic capacitors on the 250vdc B+ line for RCVR A & B on each 1st IF AMP tube screens - provides better filtering of the screen supply. Non-documented upgrade. Oscillator plate load resistor shows 3.5K on schematic parts list but 10K is installed in most units - upgrade? R27 Rcvr A & B - schematic parts list shows 1K, production installed 100K in all units. Parts list error. Input IF transformer T-1 on Rcvr A and B has trimmer on secondary only - schematic shows T-1 is with both primary and secondary trimmers. Output IF transformer T-3 on Rcvr A & B has two trimmers - schematic shows T-3 with one trimmer. Schematic error in both cases. Alignment instructions do not address the PHASE adjustments on the IF A and B chassis. This was thought to be a one time adjustment carried out at the factory but over time certainly someone probably moved the adjustments to see what happened. Instructions for proper adjustment are in November 1937 QST in an article on the Infinite Rejection IF by Karl Miles and James McLaughlin. The PHASE adjustments control the power factor on the IF transformers and therefore the depth of the rejection notch. Alignment instructions over-sight. Several variations on values of resistors encountered - this was probably due to production supply, e.g. 20K on schematic parts list is actually 25K in receiver. 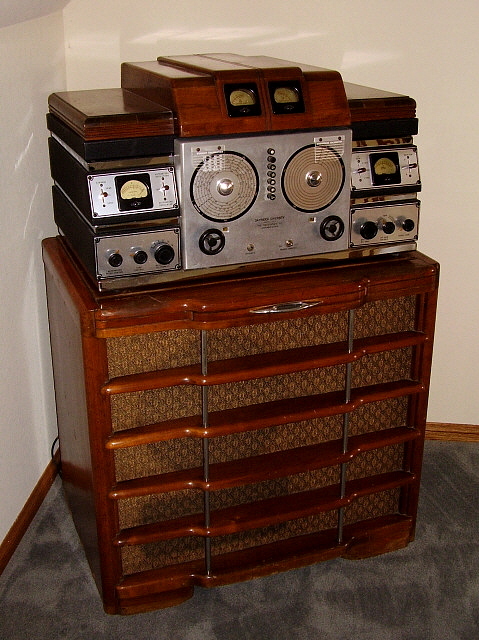 The Machine Age styled cabinet was designed by Auther Haggstrom and features the Jensen Ortho-dynamic 15" High Fidelity speaker with bass reflex port. The cabinet also allows stowage of the power amplifier and power supply on the two shelves. The cabinet is in excellent original condition with original grille cloth and all of the various wooden covers intact. The finish is in good condition with some wear apparent, including the ubiquitous "water glass ring." This just allows the cabinet to "show its age." One can also infer from these wear marks that a former owner enjoyed this DD-1 for several years, spending many hours tuning in various shortwave broadcasts from around the world. The most important part of any rebuild is the alignment. Changing all of the caps is important but alignment is what makes the receiver perform like it did when it was new. The DD-1 is straight forward in its alignment - just that there are two separate receivers so there are twice the adjustments that need to be made. The only tedious part of the alignment is the Infinite-Rejection tuning. If the PHASE adjustments have not been tampered with you can follow the alignment instructions. They are confusing since the instructions first state that two signal generators are necessary and then proceed along the assumption that you only have one generator. If the null seems flat or non-existent then the PHASE adjustments need to be changed, however the alignment instructions assume that the PHASE adjustments are at the factory settings. The PHASE adjustments control the IF transformer power factor and therefore the depth of the null. >>> >>> More details on the PHASE adjustments are in the December 1937 QST article on the Infinite-Rejection IF system. Above 15MC it is possible to align to an image. Keeping the RF generator signal level low will reduce the image to an extremely low level. Also, I usually check WWV frequency location and any image location to be sure the tracking is correct. The top band is will align fine but it is not very sensitive. Additionally, there is not very much activity in that part of the spectrum for checks. Looking inside the chassis area of the finished DD-1 with the box-type metal shield installed. The serial number tag is riveted to this shield on the right-side towards the rear of the chassis. All of the shields and screws must be installed along with the threaded rod and nuts that secure each metal divider. This is mechanical strengthening for the Yaxley push button switch to keep it aligned for reliable operation. Note the reproduction plastic scales over the tuning dial and the bandspread dial. These were made by K6DGH. To say that the DD-1 is an impressive looking receiver is certainly an understatement. Its size alone allows this receiver to dominate the room it is in. However, does its performance match its appearance? First let's cover our receiving set-up. Ideally, for space diversity the antennas should be separated by at least a wavelength at the receive frequency. The Hallicrafters DD-1 manual makes a point to say that a "useful" diversity effect will be noticed even if this separation cannot be achieved. This is true. Our set-up consisted of several different configurations. First I used an end-fed wire 40 feet long on Rcvr A and the metal framework for a suspended ceiling for the antenna for Rcvr B. Surprisingly, this did give a noticeable diversity affect above 15MC. Also tried was one leg of a 135 ft. center-fed Zepp and the 40 ft. end-fed wire. This combination gave useful diversity effect down to 75 Meters even though the separation was minimal. Obviously, the recommendation of one wavelength separation is for continuous maximum diversity effect. Sensitivity is typical for a late thirties receiver, in other words, don't expect too much performance above 25 MC. The 1851 RF amp tubes are supposed to be operable up into VHF but the coil losses, band switch losses and wiring losses all add up to a marked decrease in sensitivity above 25 MC. Though images can been found when aligning (if the RF generator level is too high) they are not apparent when tuning any of the higher frequency Shortwave bands. Selectivity is wide open with no adjustability. The design used Infinite-Rejection tuning for heterodyne relief. This circuit features a tunable notch that can be moved around the passband and thus reduce or eliminate bothersome heterodyne interference. Nowadays, heterodynes are rarely encountered so the I-R Tuning doesn't really find much use. >>> For the CW operator, either Rcvr A or B can be used individually with the BFO. In this set-up you have to operate the DD-1 just like a standard receiver - back the RF gain down and advance the AF gain - AVC is automatically turned off when the BFO is on. Use the RF gain to control the signal level to the detector for the proper ratio of signal to BFO injection. The BFO seems to have a very wide range and only a slight movement of the knob has the BFO frequency plus or minus several hundred Hz. The Heterodyne Oscillator also allows SSB to be copied with no problems but you do have to "ride" the RF gain for good copy. Using the Heterotone Oscillator for SSB doesn't work at all. How does it perform on AM Ham signals? The DD-1 provides excellent audio and performance on almost all Ham AM signals. Tuning into the West Coast AMI net results in nearly all stations being heard and the high quality AM stations sound incredible on the DD-1. Fading is not really noticeable however watching the Diversity Action Meters will show that the signal at either Rcvr A or Rcvr B is always changing strength and that the DD-1 S-meter (on the AVC line) is holding steady, at least most of time. The diversity action is especially noticeable when rapid QSB is happening on one antenna only. How about Shortwave Broadcast? Here is where the DD-1 should be at its best because it is dealing with strong AM signals that are always fading and the listener can take full advantage of the diversity affect. Unfortunately, the higher frequency SW BC stations seem to fade equally on each antenna. Sometimes a diversity action will be noted but equal fading is the norm. With better antenna separation, the diversity action on SW BC should become more consistent. Audio quality is great and there is ample power with the P-P 2A3 audio tubes - 10 watts according to the manual. AM BC stations that are broadcasting music sound very nice with very deep bass and ample highs - too bad there are so few AM stations broadcasting good music. SWBC stations also sound really nice, especially when they aren't fading all of the time. So, was the DD-1 a great receiver? From an engineering and design stand-point, it certainly was. It does exactly what it was supposed to do, reduce or eliminate fading radio signals and provide great audio for pleasurable listening. From an industrial arts point of view, the cabinet design is striking and imposing - a focal-point of any room that it would be placed into. As a practical, useable ham receiver? Probably not, especially considering the high selling price. Without a doubt, the average 1938 ham would have been much happier with a National HRO Senior or a Hammarlund Super-Pro at half the cost. The awkward way that CW has to be received would have disappointed most ham users and CW accounted for a very large percentage of the ham operators in 1938. 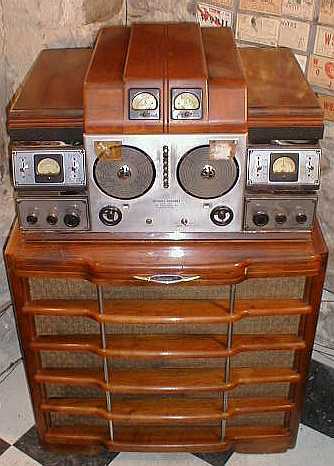 There were avid AM Phone operators in 1938 and certainly the DD-1 would have been great for that, if it was affordable. The wealthy SWL would also have been thrilled with the DD-1 performance. Nearly all DD-1 serial numbers encountered so far are in the H-805XX range. One might infer from a single DD-1 serial number that perhaps more than 500 receivers were produced with the numbers starting at H-80,000. However, Hallicrafters assigned serial numbers sequentially as products left the production line and exclusive number blocks were not used or ever assigned to specific models. Therefore, serial numbers alone cannot provide the information necessary to determine an exact number of DD-1s produced. One can estimate a number based on the known examples (and perhaps include the small quantity that has appeared on eBay over the last several years.) That number is very small indeed, with around two dozen examples, including the few DD-1s that have been offered for sale. This leads one to conclude that the total number of DD-1 receivers produced was certainly far less than the "200" that Bill Halligan "recalled" that had been manufactured. Of course, the interview with Halligan was decades later but he always did seem to exaggerate some of the production figures, e.g., Halligan claimed 50,000 SX-28 receivers produced when a more accurate estimate is 28,000. As far as any archival records, when Hallicrafters was sold to Wilcox Instruments (aka Wilcox Electric,) a Division of Northrop, in the early 1970s, all of the production records along with all of Hallicrafters archives were destroyed by orders from Wilcox Instruments! Another identification problem is the location of the DD-1 serial number tag. Since it is riveted to the bandswitch-coil shield-cover, if this shield is missing so is the serial number. This was a problem found on two of the four DD-1s I have inspected. Also, the two out of the three "unknown" DD-1 serial numbers in the log are due to missing original shield boxes. The Serial Number Tag is located on the right side of the coil-bandswitch shield box. The tag is riveted to shield box towards the rear. With the top removed the tag is easily visible as shown in the photo to the left. Details of the tag are shown in the photo to the right. Absence of a serial number tag generally indicates that the shield box is a reproduction. So far, 22 serial numbers assigned to DD-1 receivers have been reported. The numbers range from a low of H-80510 to a high of H-85648. All numbers but three are in the H-805XX range. The exceptions are H-85617, H-85629 and H-85648. Dates of the assignment of close numbers reported from inspection tags reveal that H-83879 was assigned on November 11, 1938. Serial number H-85531 was assigned on December 19,1938. Only 86 numbers separate this last serial number from DD-1 H-85617, which dates that DD-1 serial number assignment to the week of December 19, 1938. Since the DD-1 was announced in June, 1938 one would assume that they were available at that time, however this was rarely the case with new product introduction. Most likely, the range H-805XX was assigned during September, 1938. At this time, Hallicrafters was assigning about 425 serial numbers per week. One can infer several of things from the serial numbers reported so far. First, the production quantity of DD-1 receivers was very small. Second, that there was two production runs for the DD-1, one in August-September 1938 and one in December 1938 - January 1939. >>> >>> Also, it is possible that all of the DD-1 receivers built for the first production run were completed at approximately the same time and serialized sequentially. It is highly unlikely that a specific block of "H-805xx" serial numbers were assigned to the first production run DD-1 receivers. More than likely the first DD-1 is serialized somewhere near H-80500 or so. The lowest reported serial number is H-80510 and the highest reported first production run serial number is H-80596. If all serial numbers within the known sequence were assigned to DD-1s, the total would be around 86 receivers. It is likely that the second production run was a very small quantity since only three serial numbers from that period has been reported. It is likely that only what was necessary to use up the parts inventory accounted for the second run. Possibly the first run was for 80 to 100 receivers while the second run was for anywhere from just a few receivers to perhaps 30 or 40 receivers. This brings the total estimated production to a possible low of maybe 85 receivers to a high of perhaps 140 receivers. An average estimate that seems reasonable is that around 120 DD-1s were produced. This is just speculation based on what has been reported so far. More serial number examples will provide better picture of the DD-1 production history. Tom, WA2LTD, owns the earliest serial number DD-1 reported so far. It is a console model although the photo is only of the receiver. 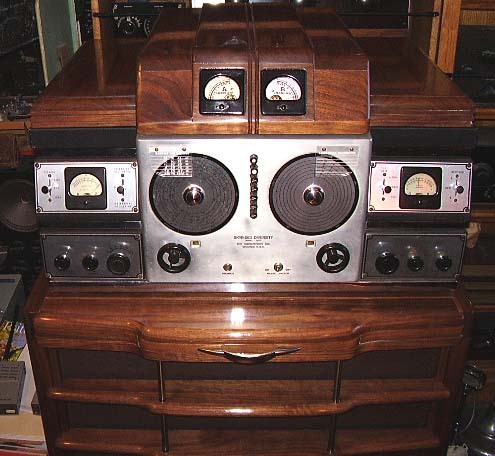 Tom has all of the components to this DD-1 including the power supply, audio amplifier, speaker console and the diversity action meters installed in the wooden top cover. Note the black knobs on the switch levers - this is the standard knob usually found on DD-1 receivers. Here is a photo of DD-1 sn H-80519. 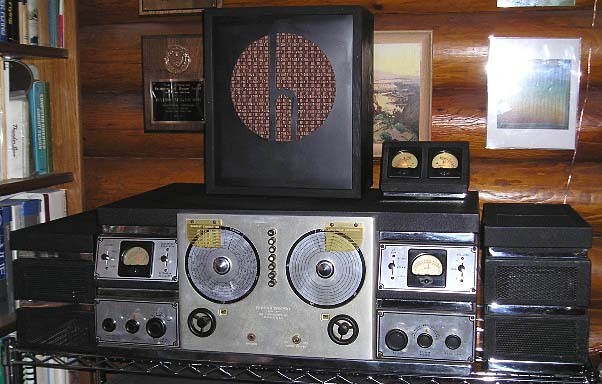 Frank has recently acquired this excellent receiver from well-known Hallicrafters collector, Chuck Dachis. Note the color-coded buttons on the band switch. More information to come. DD-1 H-80520 is a table model set that is now located in the UEC Museum in Tokyo, Japan. Originally owned by JA1BHR, Mr. Yasuda, the DD-1 was donated to UEC after JA1BHR became SK. 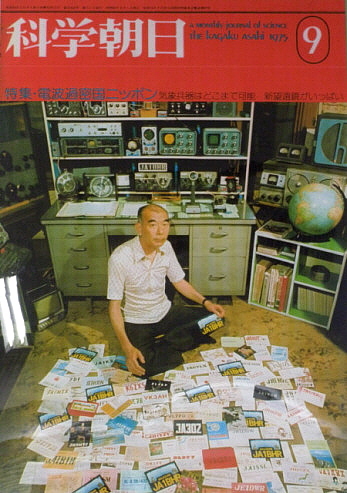 The photograph to the left is shows JA1BHR on the cover of a Japanese ham magazine from 1975. Note the DD-1 upper right behind the globe. The magazine is part of the DD-1 display at UEC. Thanks to Hiroshi Ogawa from Tokyo for providing the information on the DD-1 and the photograph. Also, thanks to Skip Magnuson W7WGM for contacting both Electric Radio and Hiroshi Ogawa to obtain this DD-1 serial number. Peter has owned this console DD-1 for many years. He fully restored H-80521 about ten years ago. His restoration involved replacement of all resistors and all capacitors. Additionally, he repaired or replaced several of the IF transformers. A total rebuild of the Yaxley push button band switch assembly was also needed. 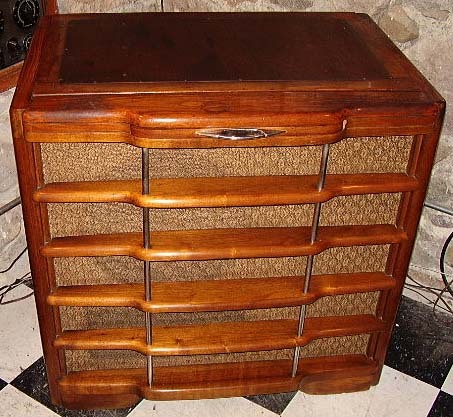 The wooden top piece and speaker console were refinished along with replacement of the grille cloth. The metal plating and the black wrinkle finish is original. Peter sold his DD-1 in 2017. I have yet to hear from the new owner. Here is a photo of the DD-1, SN H-80534 owned by Frank Adams. This is the table top configuration with the power supply and amplifier flanking the DD-1 receiver. Also included are the optional Diversity Action Meters housed in the small cabinet to the right of the speaker. 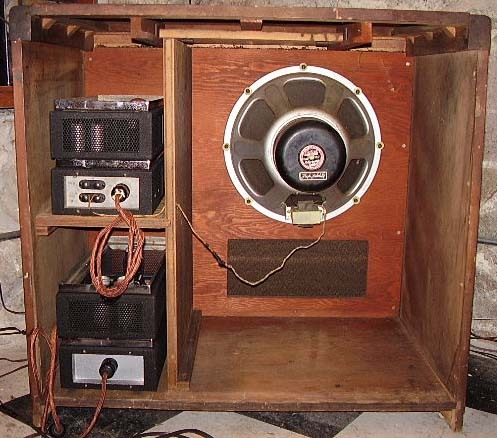 The speaker is homemade and contains a 12" speaker. This DD-1 was formerly owned by Skip Magnuson who did all of the rework to make it an operational DD-1 (all of the electrolytic capacitors replaced and some other minor repairs.) Skip sold his DD-1 to collector Frank Adams in October, 2016. For the past 50 years, Benito Serrano was the owner of this DD-1 receiver. The receiver was located in Bogata, Colombia and owned by Benito's granddaughter, Diana. The DD-1 was recently purchased by Rod Perala, W5CZ who has fully restored it and is currently using it with an RCA ATC-40 transmitter "on the air." New photos coming soon. This table top DD-1 is owned by Ron WB5KLJ of Goldfield, Nevada. It worked the last time Ron powered it up but that was several years ago. Ron is planning on starting the restoration of his DD-1 soon, so updates may be coming. This is the highest known serial number DD-1 from the first production run. 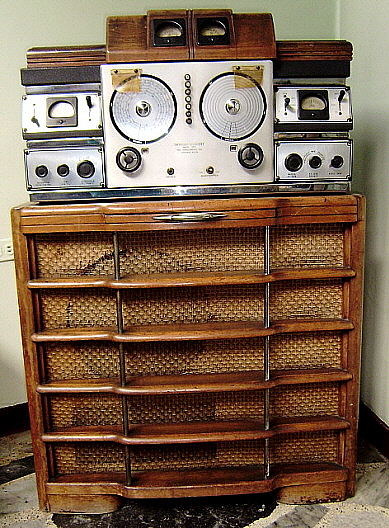 We displayed this DD-1 at our Western Historic Radio Museum in Virginia City, Nevada from 2002 up to the closing of WHRM to the public in 2012. It is shown in the photograph left at our new QTH in Dayton, Nevada. 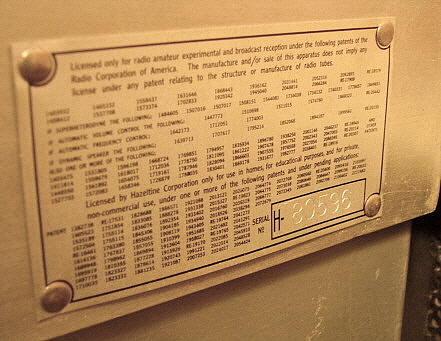 We've located the DD-1 in the upstairs landing-nook where it is the first receiver encountered when entering the "Communications" section of the house. This is a second production run DD-1. 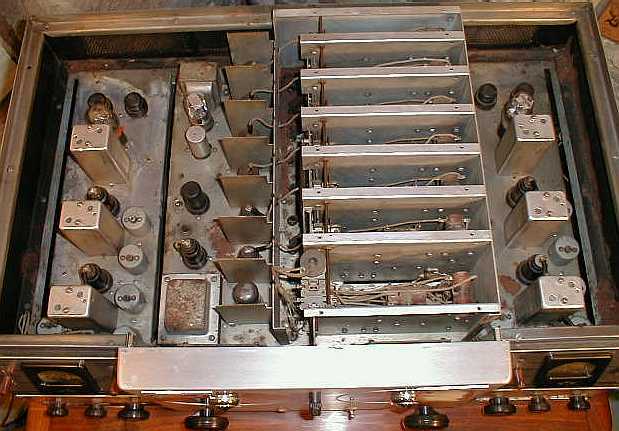 This receiver had spent some time in Europe where the original power transformer (a 115vac primary) was replaced with a transformer with a 240vac primary. Gary is in the process of restoring the PS for this DD-1 back to the original configuration to operate on 115vac. 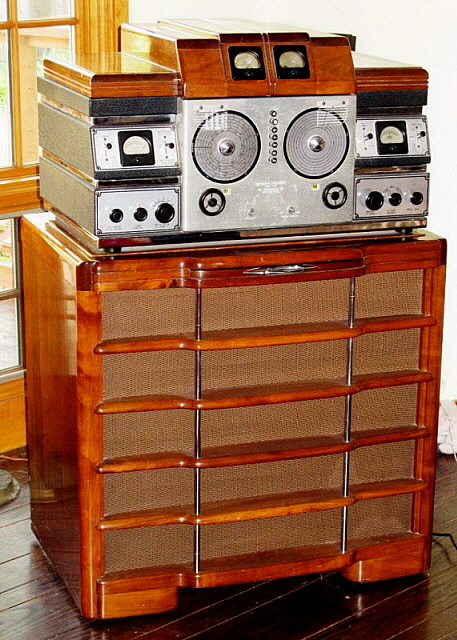 The receiver itself is in superb condition although some of the capacitors were replaced with modern components. Again, Gary is going to be returning the receiver back to an original under the chassis appearance as part of his restoration. This is the restored DD-1 belonging to NU6AM. The receiver is completely rebuilt and functions quite well. Jim has used his DD-1 on several AM QSOs on the 80 meter band. The cabinet is replica built by an exacting woodworking cabinet shop that reproduced the original cabinet in amazing detail. Interestingly, "SKYRIDER" is actually engraved as "SKYR DER" - the "I" was skipped although the space is there. Probably the engraver had set up the panagraph machine with the correct letter dies but skipped the "I" when performing the actual engraving which results in the correct space but no letter. Also, interesting that this panel made it through Hallicrafters' inspection process. This DD-1 was missing the original box shield and therefore the serial number is unknown. A reproduction of the shield was made and installed. 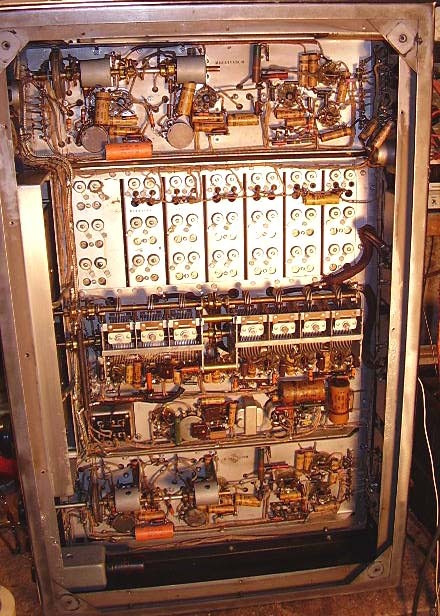 The DD-1 was to remain unique in receiver manufacturing as the only example of dual diversity circuitry designed for the ham market. Its lack of success was due to many factors that Hallicrafters should have anticipated - maybe they did and decided that the success was to their reputation and that was more valuable than profitable sales of the DD-1. I have only been able to examine four DD-1 receivers in detail. 22 serial numbers have been collected so far. As with my article on the Hallicrafters SX-28, the information in this DD-1 article is always being updated to reflect new data that is supplied by Hallicrafters enthusiasts, collectors and interested hams. We need more serial numbers to more accurately estimate total quantity and the length of time the DD-1 was in production. Dated inspection tags are a great help as these tie the serial number to an exact production date. These are paper-wire tags that are usually attached to the line cord of each receiver. These tags sometimes have survived but I have never heard of one being found with a DD-1. Any dated tags that are in the SN H-80,000 to 86,000 range would help with more exact dating, regardless of what model the receiver it is. If you have a DD-1 that has some differences from what I have listed in this article, please let me know. These variations (especially when tied to a serial number) can trace the engineering evolution or production upgrades of the DD-1. I will add these to the article for reference. Also, operational DD-1 performance appraisals would be interesting and would be included in this article if submitted (credit will be given.) E-mail me a photo of your DD-1, I'll add it to the DD-1 photo gallery. Since all of the Hallicrafters archives and files were destroyed in the 1970s, collectors and enthusiasts now have to share our information in order to help renew our knowledge of this period of time in Hallicrafters' manufacturing history. 2. Radio News, August 1933 - Diversity Reception by Murray G. Crosby - great article about H.H. Beverage and H.O. Peterson and the diversity station at Riverhead, NY. Murray Crosby worked for Harold Beverage at RCA. 5. DD-1 Manual - from photomicrographics.com website - great source of DD-1 info!